When mold closed Coleytown Middle School in September, school administrators, teachers, staff, students and parents scrambled to adjust. Sixth and seventh graders moved to Bedford Middle School. Eighth graders headed to Staples. That temporary measure will last through the current school year. Now — with the fate of CMS still undetermined — educators and townspeople must plan for the next school year. Yesterday at Town Hall, superintendent of schools Colleen Palmer presented 9 options to the newly formed Community Advisory Group. Comprised of teachers, administrators, PTA members and others, they have a December 10 deadline to present a 2019-20 plan to the Board of Education. Keeping 6th grades at elementary schools; all 7th and 8th graders would remain at Bedford. Stepping Stones Preschool would move from Coleytown Elementary to a rented facility; Long Lots kindergartners would attend CES in that space. As above, but Long Lots 6th graders would attend Coleytown El in the current Stepping Stones place. Stepping Stones would move to a rented facility. Long Lots 6th graders would attend CES; Saugatuck and Kings Highway 6th graders would go to Bedford Middle School (which would include portable classrooms); Greens Farms 6th graders would remain in that school, and CMS 7th and 8th graders would remain at BMS. All 6-8th graders would attend Bedford on a staggered schedule. For example: grade 6, 7 a.m. to 1:45 p.m.; grades 7-8, 9:15 a.m. to 4 p.m. Maintain the current plan: All 6th and 7th graders at BMS; CMS 8th graders at Staples. All students in grades 6-8 attend Bedford on the same school schedule. All students in grades 6-8 attend Bedford, with double sessions. For example: Session I, 7 a.m. to noon; Session II, 12:30 p.m. to 5:30 p.m.
Housing one of the following at a different, rented location: Early learning center (Stepping Stones Preschool and all kindergarten classrooms districtwide); 6th grade; 8th grade; all of Coleytown Middle School. Utilize 1 of the 5 elementary schools to house CMS. Those elementary school students would be redistricted to the other 4 elementary schools. The Community Advisory Group’s next meeting is tomorrow (Tuesday, November 20, 7:30 p.m., Bedford Middle School). A juvenile is in custody, Westport police said this afternoon, after threats were directed at a teacher, and the entire Staples High School population. Staples officials called police at 9 a.m. this morning, after the student was overheard stating he had “thoughts” of a mass shooting. Police said they have found firearms belonging to the student’s father, and locked in a safe. More may be located. 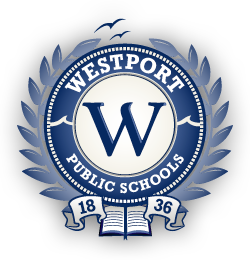 Westport schools are expected to open on time Wednesday. Due to many downed trees and wires, we are delaying school by 3 hours today. Currently 25% of Westport is without power as well. Please be careful of any downed lines that you could encounter today in your travels to work. I expect all of the damage has not yet been reported to officials. We will continue to assess the situation as the morning light reveals storm damage. Please be safe, wherever you are. With the state budget in tatters — and towns now on the hook for things like teacher pensions — superintendent of schools Colleen Palmer presented a $977,000 cut list to the Board of Education last night. Board members listened to and considered each of the “mitigation strategies” offered. No action was taken. The Board of Education determines the exact list of reductions. The next step after that is the Board of Finance. The biggest suggested change ($170,000) comes from health insurance, as a result of reduced staff. In addition, $100,000 comes from the cafeteria fund reimbursement for operating expenses, and $98,141 from deferring the hiring of the director of secondary education for one year. Other large cuts include a middle school literacy coach and curriculum resources ($66,000) each; not funding an “innovation fund” ($50,000). Palmer has identified 39 items overall for deferral or elimination. They include personnel like a part-time psychologist, paraprofessionals, 2 Staples grade level assistants, and secretarial help in the district. Also listed: the Staples athletic budget, maintenance, and supply items like Long Lots bathroom renovation, Kings Highway art stools, and Staples library and computer chairs. To view all the recommended changes to the proposed education budget, click here. Not much gets by Colleen Palmer. 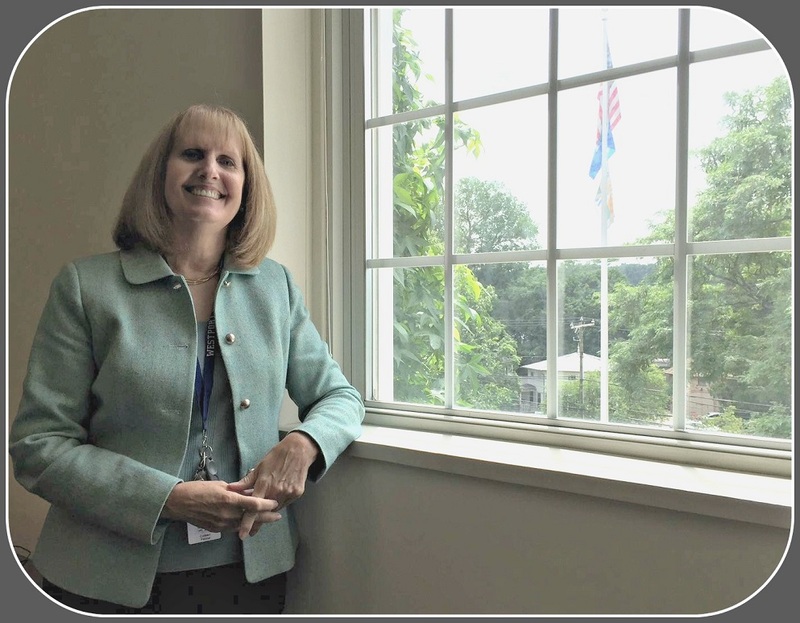 “I noticed the Westport Public Schools website has very few photos of students,” the town’s new superintendent of schools said last week, at the end of her 1st week on the job. She knows there are privacy issues involved. But, she said, if students are the primary focus of the district — and she is emphatic that they are — they should be a visible focus online too. It was a whirlwind week for the incoming education leader. She’d just finished 5 successful years in Weston; before that, she was superintendent in Monroe. Palmer also served as a high school prinicipal at Nonnewaug, Hamden and Simsbury. She was not looking to leave Weston. She’d invested a lot of time and energy there; the schools are excellent, and she was deeply rooted in the community. Yet when Westport’s search firm tapped her on the shoulder, she turned around. Palmer knew this town, from working many years with then-superintendent Elliott Landon. The closer she looked at Westport — learning about initiatives like the 2025 Lens and collaboration with Teachers College — the more excited she became. After her appointment this winter — she was the only finalist — Palmer did her homework. She read documents and reports. She made phone calls. As the budget process unfolded, she watched every Board of Education, Board of Finance and RTM meeting she could. Now, she’s got a nice Town Hall office. But she’s not spending too much time there. Educators “want to share what they’re doing,” she adds. “There’s a can-do attitude, and a lot of collaborative problem-solving.” One immediate example: addressing space issues at Kings Highway Elementary School. That’s wonderful. But, I wonder, don’t all teachers and administrators focus on kids? Colleen Palmer’s Town Hall office has a great view. But she is getting out and around, meeting as many Westporters administrators, teachers and residents as she can. Palmer looks forward to building on the strong foundation that already exists. She is particularly excited by the “Guiding Principles” initiative, fostering emotional intelligence. She hopes that Guiding Principles values like “kindness with sincerity” will be part of the entire district culture, for adults as well as students. Using 2 of her favorite phrases — “Failure is not an option” and “Hope is not a strategy” — Palmer calls herself “tenacious and realistic.” She cites a major achievement in Weston — getting a waiver from the state, in order to do holistic rather than formulaic scoring for teacher evaluations — as an example of her ability to do what’s right for students and staff, unencumbered by rigid thinking. Though she calls a superintendent’s job “24/7,” Westport’s new leader has a life beyond school. Three years ago, driving across the Saugatuck River, she saw scullers on the water. She took lessons at the Saugatuck Rowing Club, and fell in love with the sport. Now, at dawn, she rows a single. Palmer — a swimmer — recently joined the Westport Weston Family YMCA too. 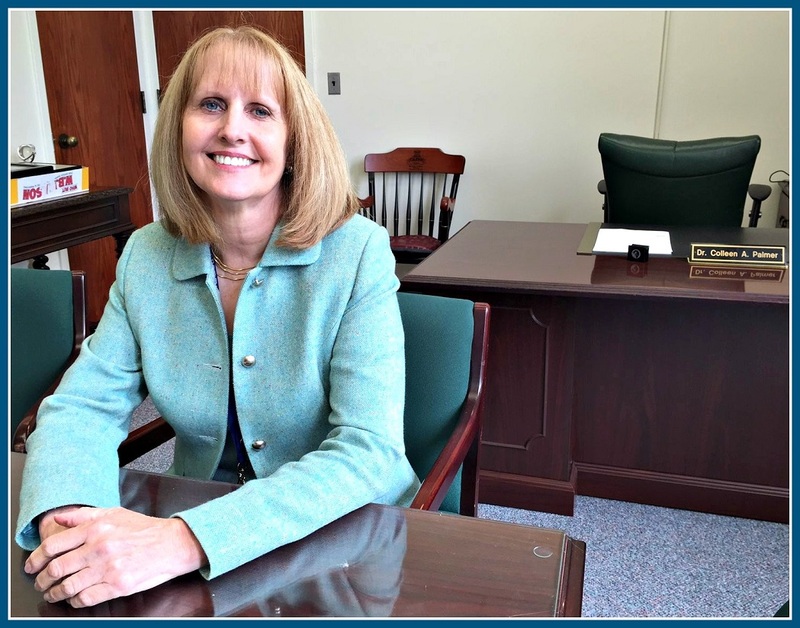 The new superintendent — who prefers “Colleen” to “Dr. Palmer” — replaces a man who served a mind-boggling 17 years, in a very difficult public position. “I love my work. I thrive on it,” she says. “I have a healthy balance in my life. This job has long hours, but I take care of myself. 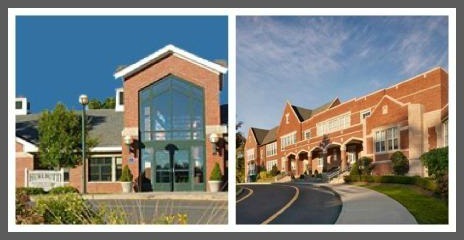 Westport Vs. Weston: Which Schools To Choose? I understand the difference between the towns and properties themselves – what I am really interested in (obsessed with?) is the differences between the schools. My impression is that Weston is more traditional, maybe has fewer course course offerings, but a smaller, more personal experience? I know both systems are “excellent.” I’m looking, if possible, specifically where there is less pressure (if anywhere) on the kids, and where there is less teaching to the test and true creativity allowed on the parts of the teachers. Any other thoughts are welcome too. So there you have it, “06880” (and 06883). Click “Comments” to respond. Please address the questions asked — no tangents this time. Please cite specific examples, if possible. And play fair — no ad hominem attacks. Weston’s Hurlbutt Elementary School (left); Westport’s Green’s Farms El. Recently, “06880” posed a question the Board of Education needed answering: When was kindergarten first offered in the Westport public schools? Plenty of readers posted answers online, with recollections dating back to 1941. According to Jennifer Robson, administrative assistant to the superintendent, additional sleuthing in the Town Hall vaults showed records of 4- and 5-year-olds being educated as far back as the late 1800s. In 1916 — the 1st year that record books actually describe children by grade (not just age) — the Bridge Street School (predecessor to the original Saugatuck Elementary School, on [duh] Bridge Street) had a “sub-primary grade,” filled with 4- and 5- year-olds. Student rosters read like a hit parade of old time Westport names: DeMatttio, Gilbertie, Saponare, Valiante, Tedesco, Cribari, DeFeo, Fiore and Zeoli, among others. 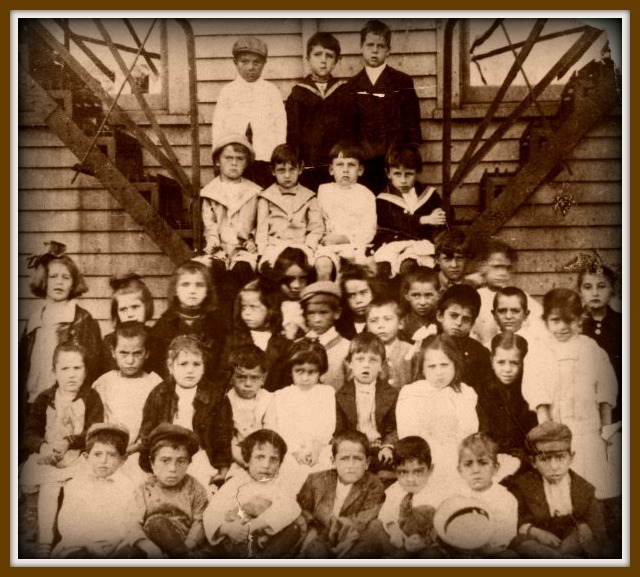 Youngsters at the Bridge Street School, around 1915. Recognize any relatives? Jennifer says that the other schools in town did not appear to have kindergarten at that point. They also enrolled far fewer students than the Bridge Street School. What are your recollections of your early school days in Westport? Click “Comments” to respond. Let’s limit this one to elementary schools, with no tangents into No Child Left Behind, Obama’s education policy, or anything else please! For some reason, NESDEC — the organization that does yearly enrollment projections for the Westport Public Schools — recently contacted the Town School Office looking for background info. 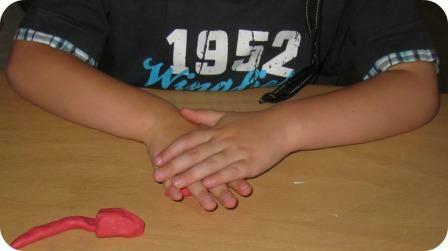 One question was: What year was kindergarten first offered in our schools? The answer is: No one is sure. Records trace Westport kindergarten back to 1953 — but they’re incomplete before that. So, “06880” readers: If you attended kindergarten here any year before Dwight Eisenhower and Queen Elizabeth II took over, click “Comments” and tell us when. Inquiring minds — and NESDEC — want to know. Was there kindergarten in Westport in 1952? "06880" readers must know. There’s been a bit lot of back-and-forth on “06880” lately regarding the value of the Westport school system. I am, however, bright enough to know that standardized tests — particularly when each state sets different standards — are not the brightest way to assess schools, teachers, administrators, learning, learning outcomes, creativity, blah blah blah, even bang for one’s real estate buck. Forbes ran the data, crunched the numbers, threw salt over their shoulder, and came up with the highest-ranking city. The one that got the “100” that the rest of the 17,588 towns and cities get curve-graded against. Using Forbes’ quasi-scientific methodology, Westport does not even make the top 10. No Connecticut school systems do, though. In fact, only 2 in the entire Northeast: Barrington, RI (#4) and Bedford, NH (#5). The rest of the top 10 includes Mercer Island, WA (#2), Pella, IA (#3), and from 6th to 10th, Manhattan Beach, CA; Moraga, CA; Parkland, FL; St. Johns, FL, and Southlake, TX. If you’re scoring at home using the “District Reference Group” method, Forbes has better news for Westport. Sort of. They’ve sliced and diced their list according to median housing prices. We’re in the highest group — “$800,000 and Up” — and here the list is a bit more Northeast- and California-centric. Westport — with a median home price of $931,690 (when? 2007?) and an “Ed Quality Index” of 87.81 — is the 5th best bang-bucking school district in the entire wealthiest Forbes quarter. We trail the winner (Manhattan Beach, CA) and runners-up New Canaan, Lafayette (CA) and Palo Alto, but lead Darien, Orinda (CA), Weston (MA, not CT), Rye (NY) and Cupertino (CA). This is described as "the women of the Manhattan Beach 6-man volleyball tournament." Yes, I understand these are not men, and there are more than 6 of them. But who am I to argue with the top school district in the category of wealthiest median home prices? Whatever they teach there must be right. So there you have it. Sort of. But feel free to devise your own ranking system. I have added together all the grades achieved by students in grades K-12 in every course taken (except physical education); divided by the number of parking spots in each parking lot; multiplied by the square root of parent or guardian’s IQ and cholesterol scores, and done something or other with the hypotenuse of the hotness factor of superintendents, boards of education and building principals. I am happy to report that, by this perfectly logical method, the Westport school district is the 2nd best in the country. Number one is — damn! — Falmouth, Maine. “Race To Nowhere” — the much-heralded documentary — arrived in Westport last night. It is not a feel-good film. The audience of 600 at Bedford Middle School — mostly mothers, with a few dads and students sprinkled in — saw a depressing litany of all that ails education today. Teaching to the test; too much homework; too many extracurriculars; too much pressure to get into the best college; cheating — it was all there. Plus the heart-wrenching, math grade-induced suicide of a 13-year-old girl. It’s not a perfect film. In trying to cover everything — from high-performing suburban schools to those in inner cities; from kindergarten through high school; from the perspectives of students, parents, administrators and mental health professionals — it felt at times like rocketing from math class to Spanish to social studies. And, paradoxically, at 85 minutes it was about 20 minutes too long. If I were in class, I’d have been staring at the clock. But “Road to Nowhere” is definitely worth seeing. You may not like the parade of sad, tired, pressured kids — and they may be no more representative of their generation than the images of their demandingly conflicted parents — but all those voices, and messages, are important. Recognizing the rigors of homework, an AP Biology teacher cut his homework assignments in half. Those students did better on the all-important AP test than his previous classes. Half the audience stayed for a discussion afterward. Topics ranged from poor teachers to peer pressure exerted by parents. “None of these issues are unfamiliar to me as an administrator, or to Westport public schools. Are we vulnerable to some of the criticisms in the film? Yes — but in constructive ways.